Blogging and SEO are like PB&J. They go hand-in-hand. If one is missing from the equation… something’s not right. And in this post, we’re going to talk blog SEO best practices. Because when you combine the two, you can generate unlimited amounts of quality traffic. Writing blog posts which users get real value from. Because it’s these posts which your visitors are going to bookmark, email to a colleague, or share on LinkedIn. Write with this mentality. Focus on providing real value to visitors which they’ll remember two years from now. And not every post is going to hit the mark when it comes to this level of quality. But striving for that quality is what matters. Now, this blog SEO best practice takes a bit of finesse. Because you’re reading this post knowing that SEO and blogging are a dynamic duo. With the crux of SEO being keyword targeting. You have to be careful not to go overboard when strategically mentioning keywords in your post. Write your post, and write it naturally. This means forgetting about keyword targeting. Your job here is to focus on creating a quality piece. After letting your content marinate, go back and update the post. Here is where you can look for opportunities to mention your keyword. 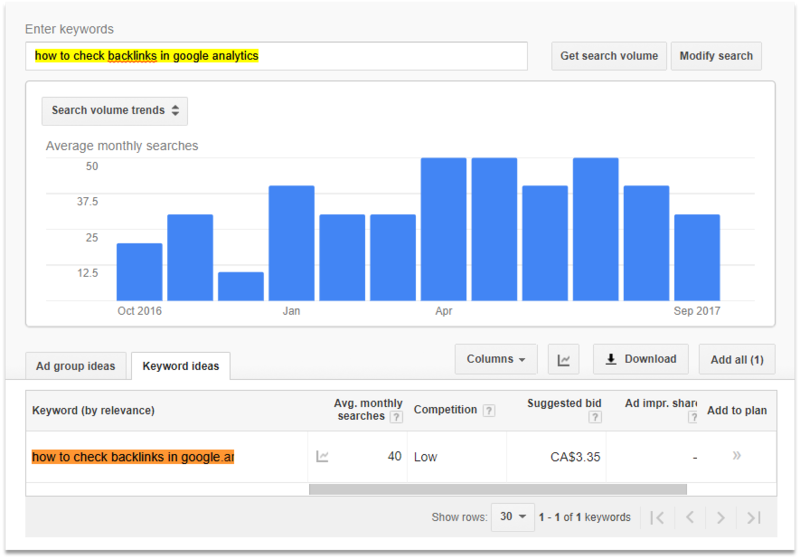 Compare your keyword densities. Obviously, you should see your KD increase. But by how much? Have you made a real change? And be careful, don’t go KD crazy and sprinkle keywords where you ought not to. The moral of my strategy is this: job number one is to write quality content, job number two is to put your SEO cap on. To drive traffic to your site through unique content. And this is where long-tail keyword targeting comes into play. Here’s an example. I want to write a blog post explaining how on-page SEO and off-page SEO contrast. Both of these are on the longer side of keyword targeting. But one is clearly more long-tail. And for sites that don’t have mega domain authority, AKA the majority of sites, this longer-tail option (#2) is a better bet for ranking in SEO. But this longer tail option also leaves me in a bit of a pickle. How do I target that keyword in my posts? I mention the target keyword string five times in this post. I also mention similar keywords throughout that post to build context. It isn’t easy, but it can be done. You just have to think strategically. This next blog SEO best practice ties well into our previous point on long-tail keywords. 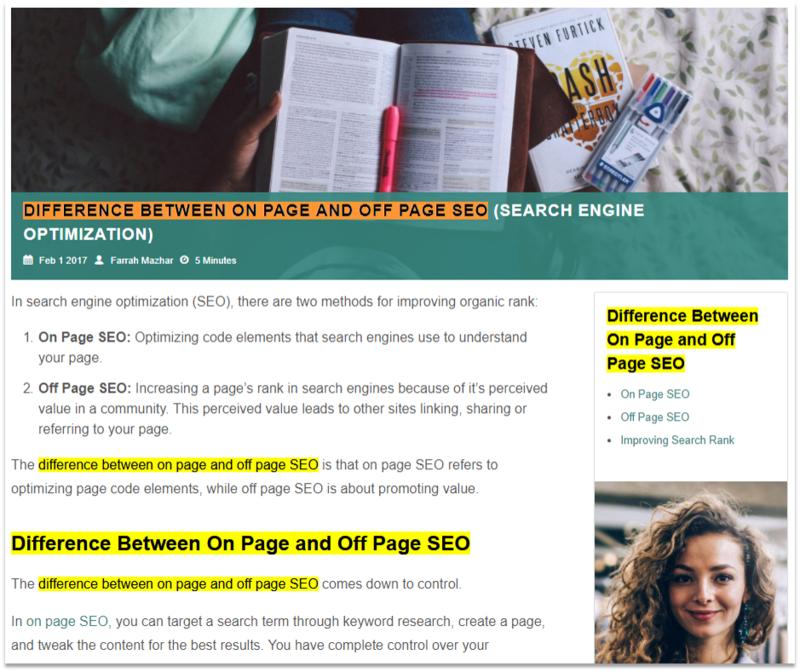 As you can see, “differences between on-page and off-page SEO” would most likely have a “what is” attached to the beginning. Making this a question. And this idea is important to keep in mind when it comes to blogging and SEO. One day, I was going through our search analytics data, fishing for new blog topic ideas. And I stumbled upon something interesting. 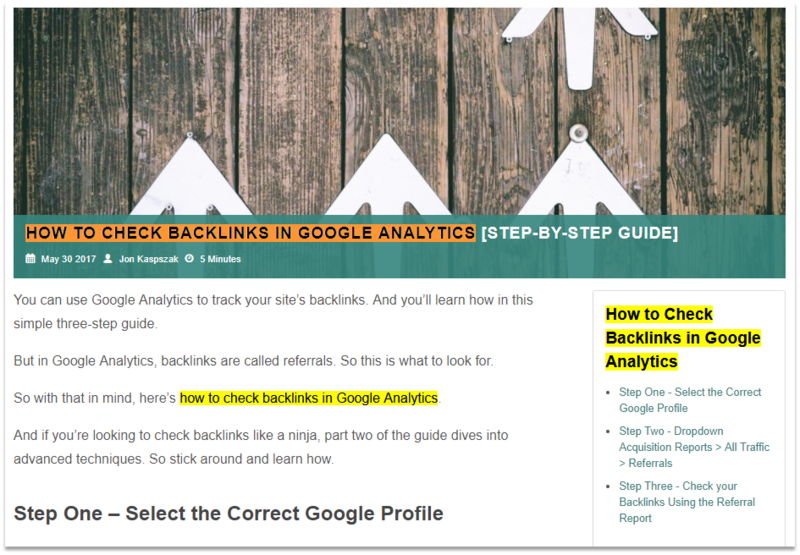 The Backlink Quality post I wrote talks about backlinks in detail and has an entire section dedicated to Google Analytics. And while it indirectly answers the query “How To Check Backlinks in Google Analytics”, it wasn’t a perfect fit. So I created a post specifically targeting that question. I also built in a ton of other features into that post, with internal links to other content discussing backlinks. 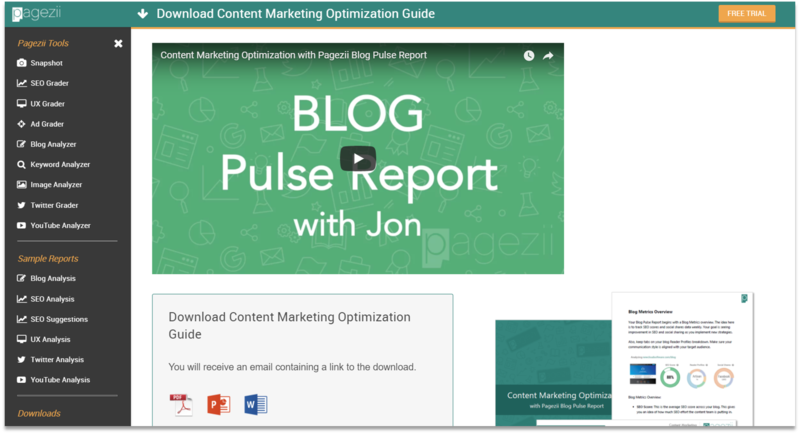 And, with the help of a few backlinks from the marketing community, this post is now one of our most popular pieces of content. All from answering questions which searchers’ were asking. Essentially, your site engagement metrics. From there, they see my result. 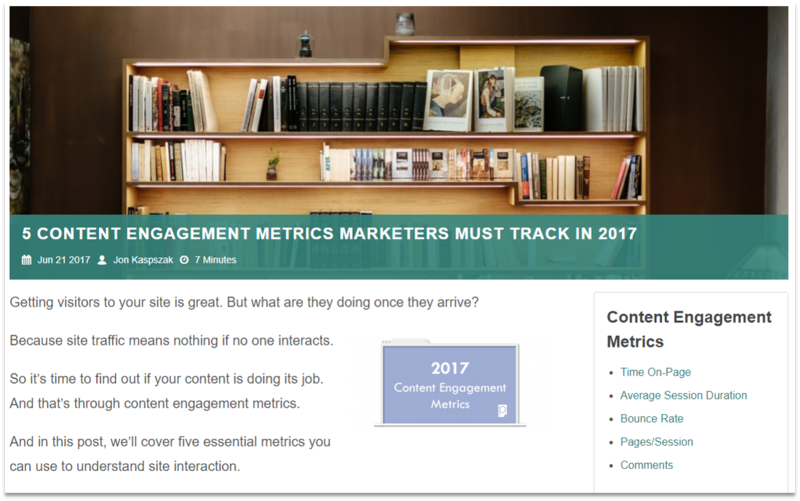 It’s a blog post on content engagement metrics. It’s close enough, so the searcher clicks. And they land on the blog. As they get to the conclusion of the post, the visitor comes across a call-to-action. 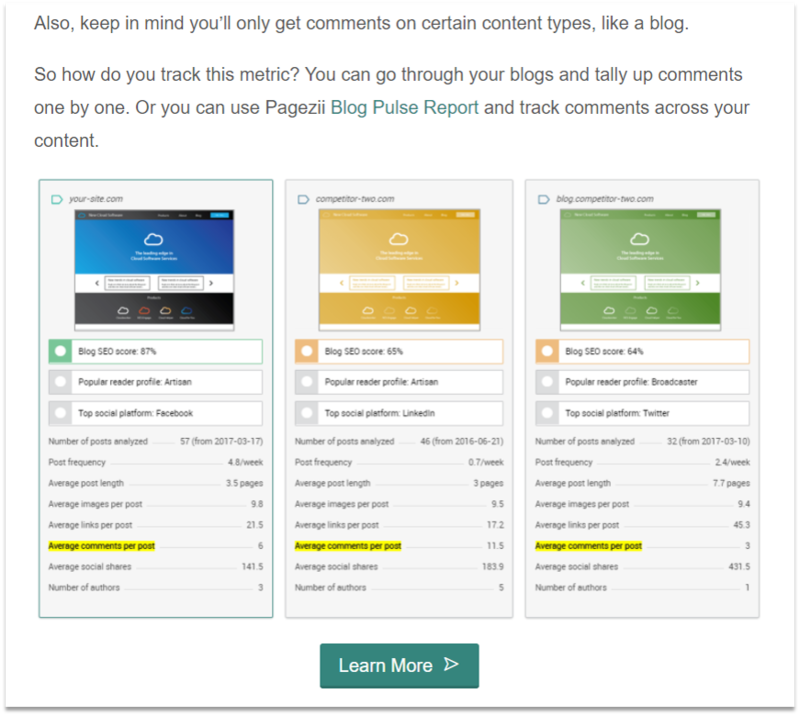 Which shows Pagezii’s Blog Pulse Report in action. They click on the call-to-action and land on a webinar page. And from here, they’re able to watch the video, download the accompanying guide, and try out our free tools. This is how you increase dwell time. By providing the logical next steps. This also tells Google that your result is valuable to a searcher. Because from your result, they are reading the post and sticking around your site. You now have the five blog SEO best practices I apply to every post I write. Use them going forward, and see how they can work magic for your content.